Walls make up a lot of the house’s surface area, so it’s not too surprising that a house’s largest heat sink tend to be the walls. As much as 35% of your home’s heat may be escaping through your walls. If you insulate your walls you will see an improvement in your heating, and even cooling bills. 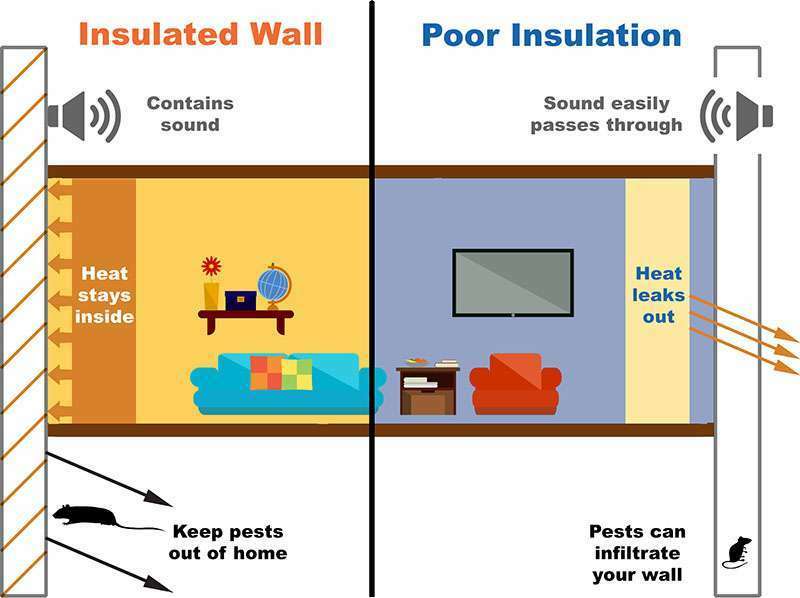 With the proper insulation not only can you keep out the cold, but also many insulation types can keep out pests such as mice, insects, as well as being mold resistant. The air quality also tends to improve in your home, so that you can breathe in air that is crisper and drier. Whether it’s loud crickets in the countryside or cars zooming by in the city, there are many sounds that can invade your home. Insulation in general acts as a sound barrier and there are some types of insulation which can sound proof your home completely. Schedule a FREE No Obligation Wall Estimate Today!